“I Love It” from Kanye West and Lil Pump is unusually short. At 2 minutes and 7 seconds, its play time is at least a minute less than most of Kanye West’s other songs. We asked in a past econlife why albums were longer. One reason was more of the shorter songs that compose them. 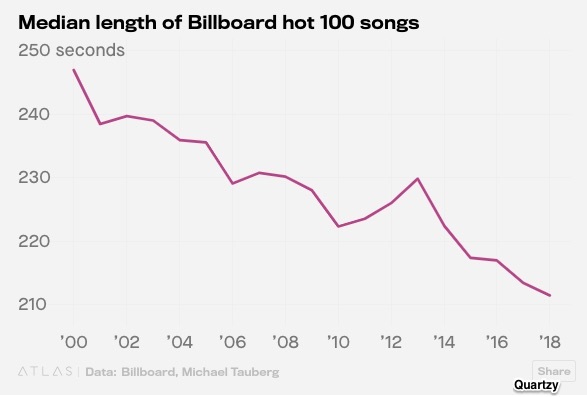 It doesn’t sound like much to say that the average Billboard Hot 100 song’s length is down from 3 minutes 50 seconds to 3 minutes 30 seconds (or so). But that is a whopping 8.6% decrease. In addition, 6% of all hit songs are now a rather brief 2 minutes and 30 seconds. Just five years ago 1% of all hit songs were at that 2 1/2 minute threshold. At this point you might add some other incentives that could be cutting song length. People have shorter attention spans. Listeners prefer catchier songs. Artists might even like the creative challenge of new time constraints. 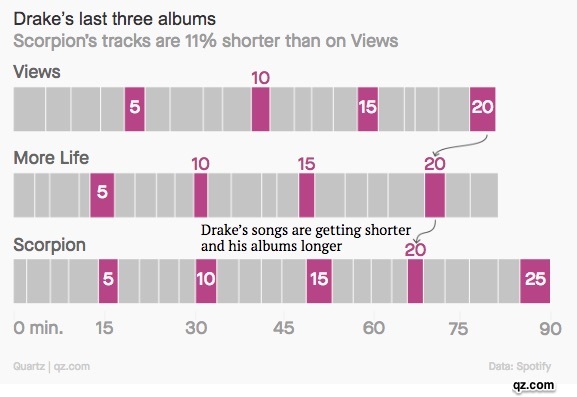 But still, streaming is a big piece of the shorter songs puzzle. As economists, we can say that those shorter song tracks create more marginal utility. By marginal we mean the next extra things that we do or eat or produce whereas utility is usefulness or satisfaction. More simply stated, marginal utility is just extra satisfaction. When we think of music, on the supply side, those shorter tracks create extra streaming revenue, beyond the existing margin. Meanwhile, the demand side seems to like the brevity that represents a pull back from the old margin. The result? We have shorter songs creating more satisfaction for both sides of the market. And, returning to where we began, “I Love It” makes more marginal utility for Kanye West and Lil Pump. 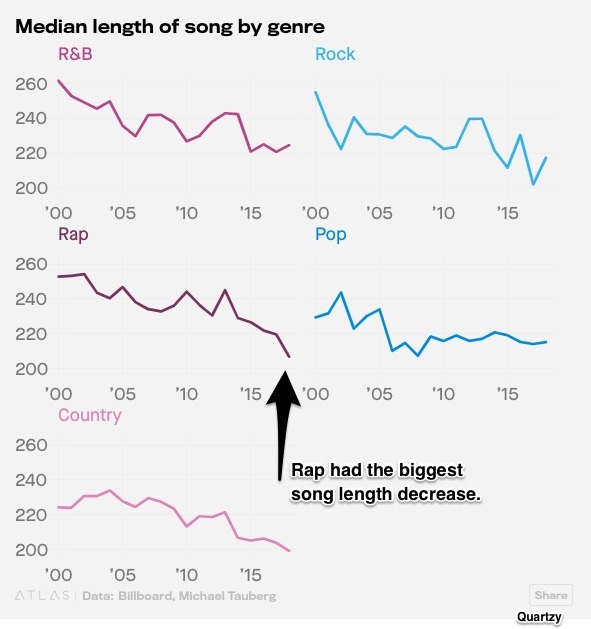 My sources and more: Always good for quirky facts, qz.com had the shorter songs data here and here that complement a past econlife on album length. 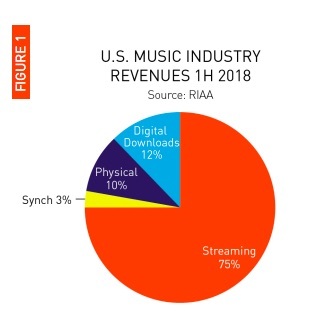 But for the precise revenue numbers, RIAA is the industry gold standard. Next ArticleWhere Will Automation Change Our Lives?